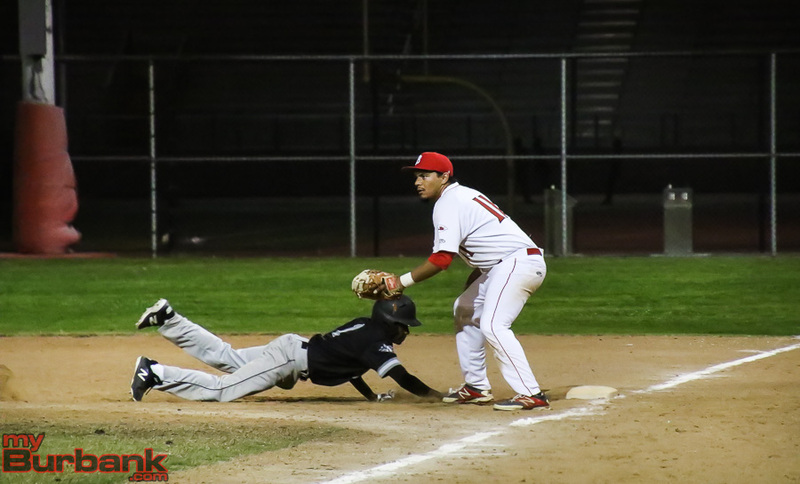 There is an outside chance that the Burroughs High baseball team will participate in the upcoming CIF Southern Section playoffs after beating city rival Burbank 5-2 in a Pacific League contest at Tomahawk Field on Tuesday night. With the stands filled to near capacity, the Indians scored a run in the first inning and four runs in the second. “We’re playing for a playoff spot. We have to win to get in and we have to win on Friday or we’re out,” Burroughs coach Craig Sherwood said. 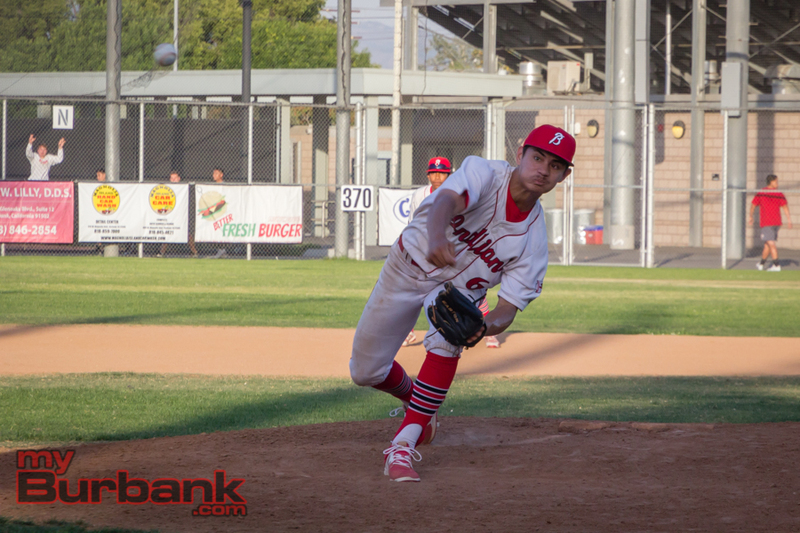 That was all the scoring Burroughs (13-14 and 7-6 in league) would need as junior Nicco Chuidian went five innings, striking out two with three hits allowed. Chuidian was mighty handy with the bat, collecting two hits and added a run batted in. 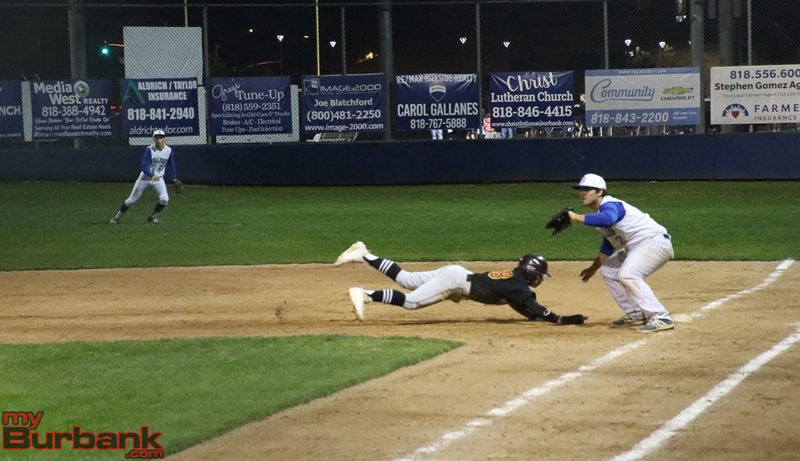 The Bulldogs (7-13 and 5-8 in league), who are out of the playoff hunt, scored two runs in the third inning as senior Abiezer Delgado’s base hit drove in both runs. 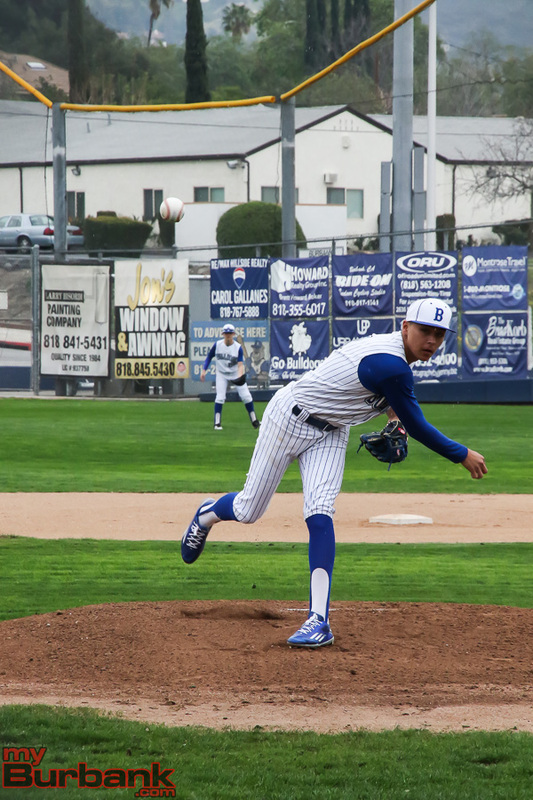 Junior Matthew Porras went two and two-third innings with a strikeout, while junior Daniel Ruiz ventured three and one-third innings. 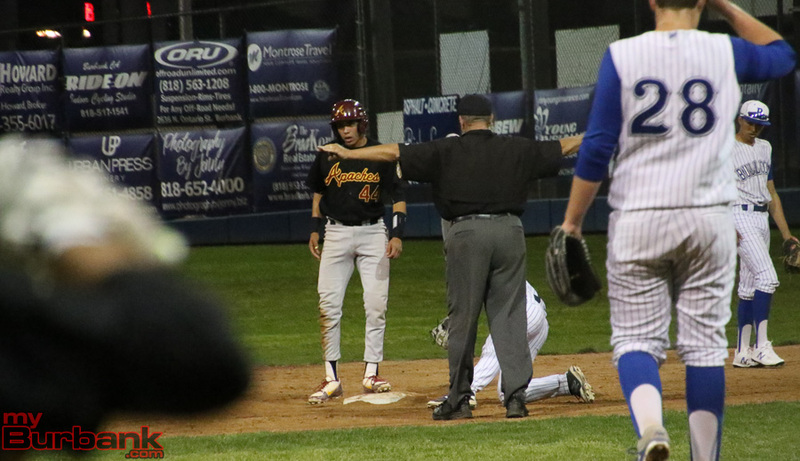 The Bulldogs, who were limited to three hits, will host the Indians on Friday with the first pitch scheduled for 7 p.m.
Chuidian cruised through the fourth inning when he retired freshman Ryan King and Ruiz on fly outs to right field and senior Max Meltzer on a pop up to third base. Ruiz faced four batters in the bottom of the frame as junior Julian Jaramillo (two RBIs) and senior Matthew Diaz grounded out to shortstop. Junior Collin Johnson, who walked three times, was aboard on a base on balls, but junior Andres Salazar flied out to center field. The fifth inning began with Chuidian inducing senior Matt Moreno to fly out to left field while sophomore Oakley Spens grounded out to shortstop. Junior Davis Mieliwocki then grounded out to sophomore shortstop Brian Garcia (two hits), who made a terrific stop and then gunned the ball to first base for the final out. “It’s what we live for. 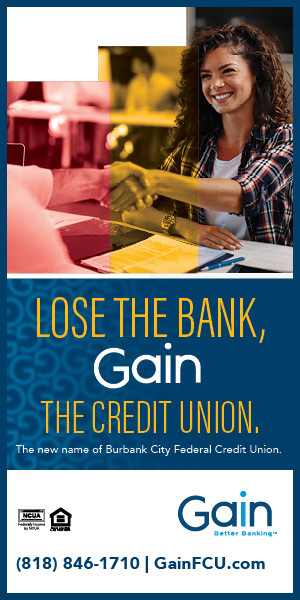 I woke up thinking, Burbank game. We’re all ready for this,” Garcia said. 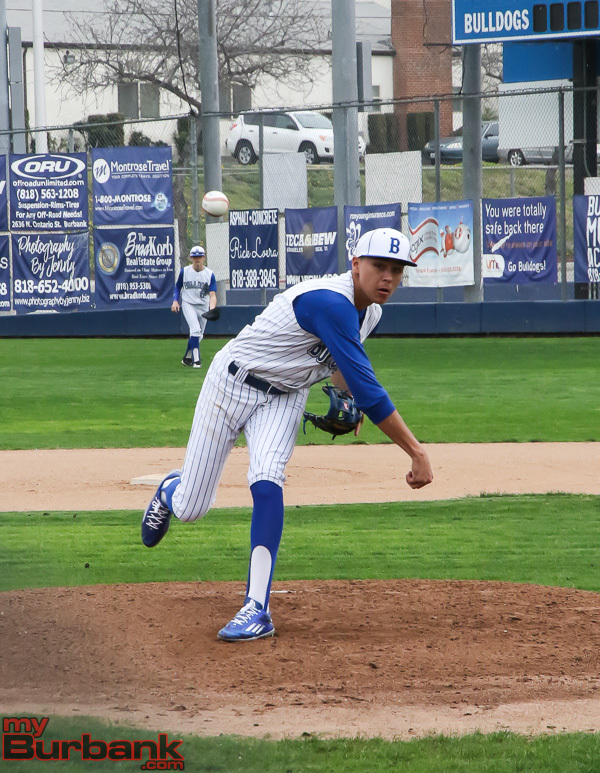 Ruiz faced three batters in the fifth as senior Nathan Palafox lined out to center field. Senior Revin Diego walked and senior Andrew Jacob Barrera lined out to left field, but Diego was caught stealing for the third out. Senior Joe Metcalf was on the mound to begin the sixth for the Indians and walked junior Andrew De La Torre and Delgado. In stepped junior Xavier Dubon in place of Metcalf and he fanned Porras for the first out. 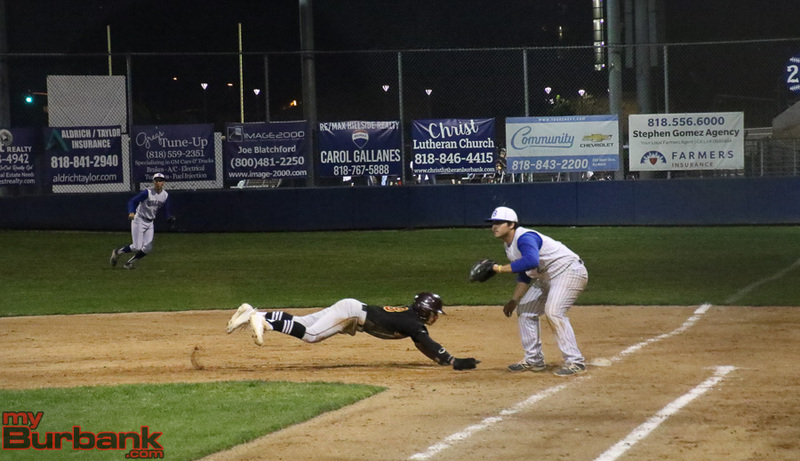 “I think the relief job by Xavier, who came in with runners on first and second and nobody out with a three run lead and they didn’t score a run off him was one of the best relief jobs in years,” Sherwood said of his submarine specialist. Dubon then induced King to reach on a force out, and fanned Ruiz for the last out. Six batters trotted to the plate in the home half of the sixth with senior Brandon Giraldo and Diaz reaching base on singles. Salazar worked the final inning for the Indians and went 1-2-3 after Meltzer flied out to left field, Moreno grounded out to second base and Spens flied out to right field in foul territory. This entry was posted in Baseball, Sports and tagged Abiezer Delgado, Andres Salazar, Andrew De La Torre, Andrew Jacob Barrera, Baseball, Brandon Giraldo, Brian Garcia, Burbank High, Burroughs High, Collin Johnson, Daniel Ruiz, Davis Mieliwocki, Joe Metcalf, Julian Jaramillo, Matt Moreno, Matthew Diaz, Matthew Porras, Max Meltzer, Nathan Palafox, Nicco Chuidian, Oakley Spens, Pacific League, Revin Diego, Ryan King, Xavier Dubon on May 9, 2018 by Rick Assad. 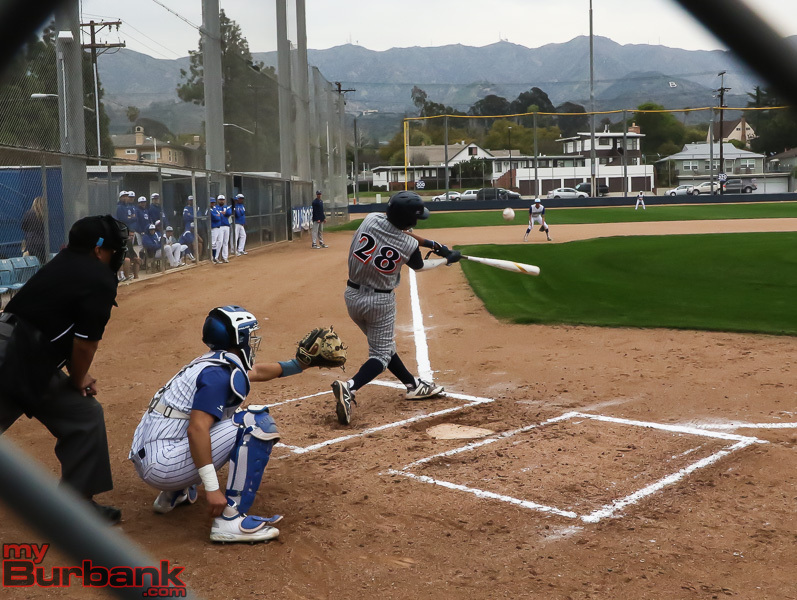 Big innings often act like knockout punches and it surely did for the Burbank High baseball team on Friday afternoon. 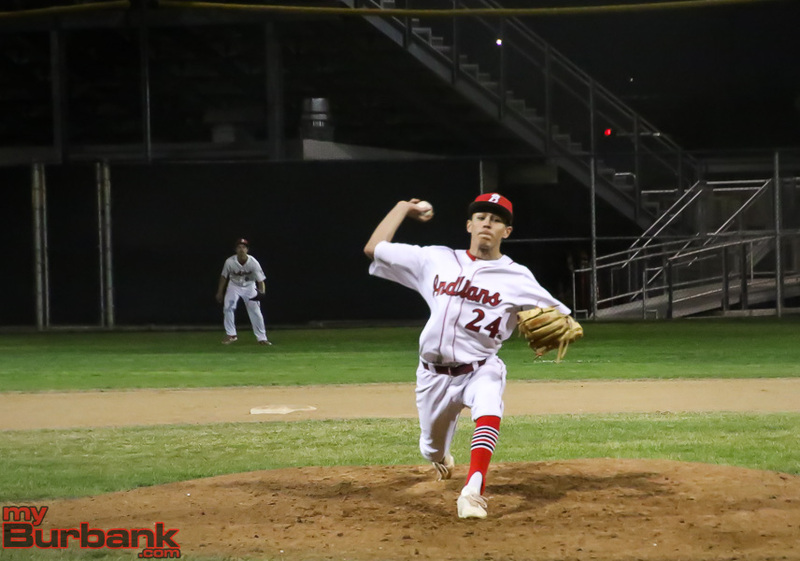 Ahead by only two runs entering the top of the seventh inning, the Bulldogs scored six times as 10 batters went to the plate and in the process helped them earn a 9-1 decision over host Glendale in a Pacific League match. The frame featured a two-run single to left field by senior Max Meltzer (two hits) and senior pinch hitter Matt Moreno’s run-scoring base hit. Junior Matthew Porras (single) and pinch hitter Austin Ortega, a senior, added run-producing grounders. Capalbo, who was filling in for Bob Hart, who was ejected from Tuesday’s game and wasn’t allowed to be there on Friday, said the pitching change in the sixth inning was the turning point. Capalbo said he was confident in King, despite his youth. 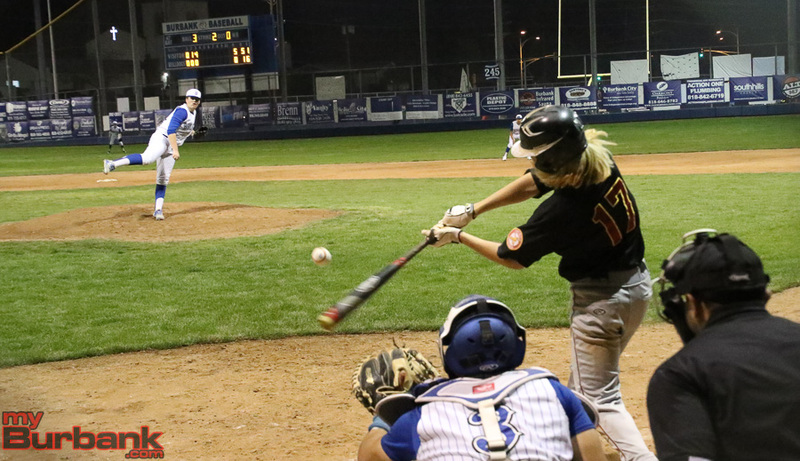 In the sixth inning, the Bulldogs (4-7 and 2-2 in league) tacked on two runs that made it 3-1 as seven came to bat. Porras singled to center field with one out and Troy Lee doubled to left center. Two batters later, sophomore Oakley Spens floated a single to right center that brought both runners home. 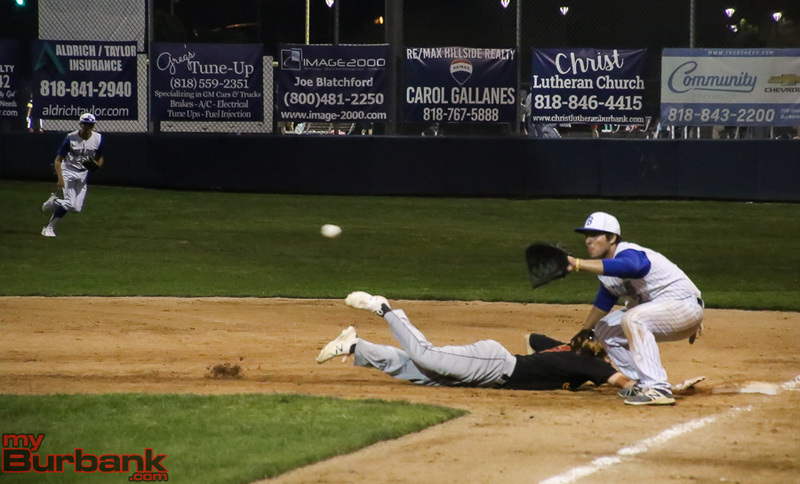 Neither team scored in the first two innings, but the Bulldogs, who defeated the Nitros 11-3 on Tuesday, woke up in the third frame as senior Matt Shaugabay, who scored two runs, had a two-out double to left center, moved to third base on a passed ball and scored on an error. 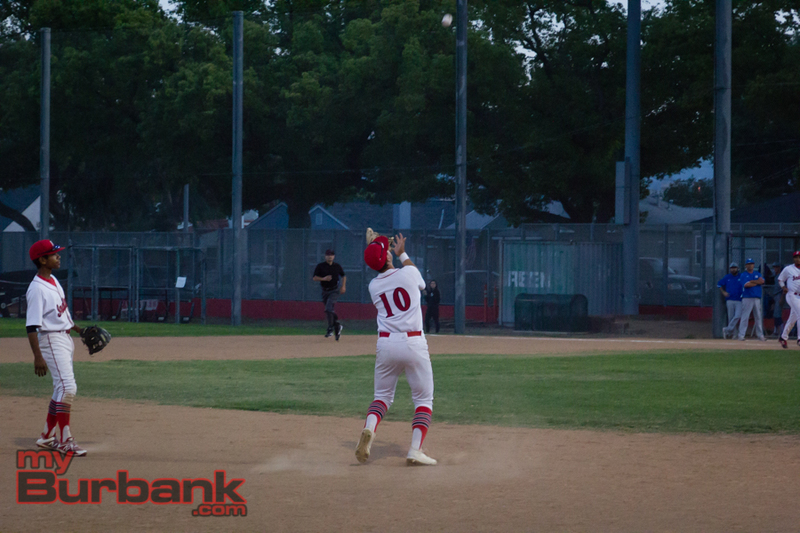 In the bottom of the frame, the Nitros (3-10-1 and 0-4 in league) evened it at 1-1 when junior Nolan Wong was hit by a pitch from junior Daniel Ruiz, who went three and two-third innings, yielding one hit and six walks with two hit batters and four strikeouts. 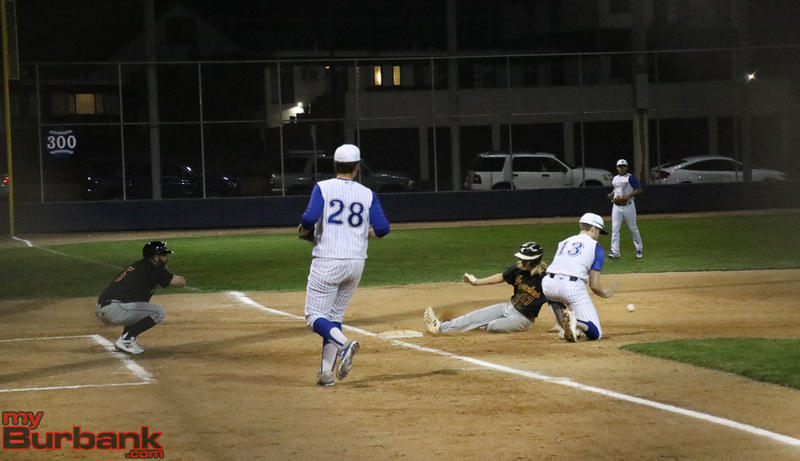 Junior Ryan Kataoka walked to lead off the third inning and later crossed the plate after advancing to second base on a walk to junior Adrian Coll and third base when sophomore Thomas Kovarik was nicked by a pitch. 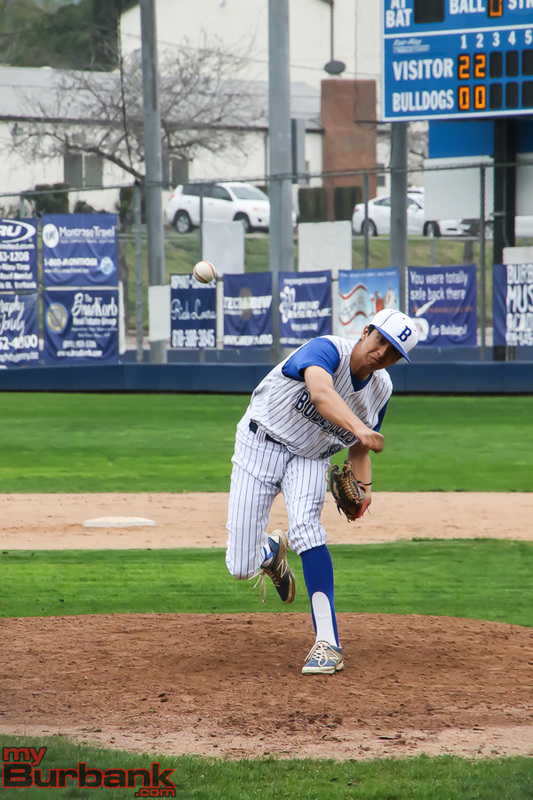 Junior Jacob Duarte was credited with the victory after toiling one and two-third innings while giving up two hits, walking two, hitting a batters and fanning four. King, who began the contest in right field, was given the save after coming in with one out in the sixth inning. King worked one and two-third innings and gave up two walks. The Bulldogs collected nine hits that also included a single from senior Abiezer Delgado and a double by junior Davis Mieliwocki. 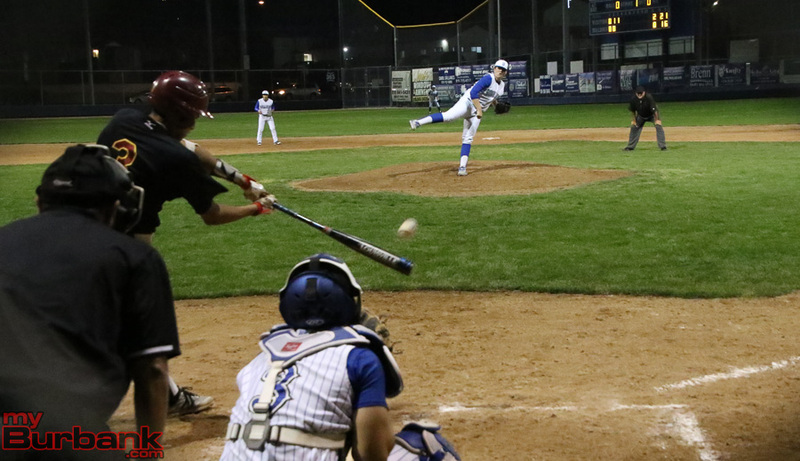 This entry was posted in Baseball, Sports and tagged Abiezer Delgado, Austin Ortega, Baseball, Burbank High, Daniel Ruiz, Davis Mieliwocki, Jacob Duarte, Matt Moreno, Matt Shaugabay, Matthew Porras, Max Meltzer, Oakley Spens, Pacific League, Ryan King, Troy Lee on April 7, 2018 by Rick Assad. 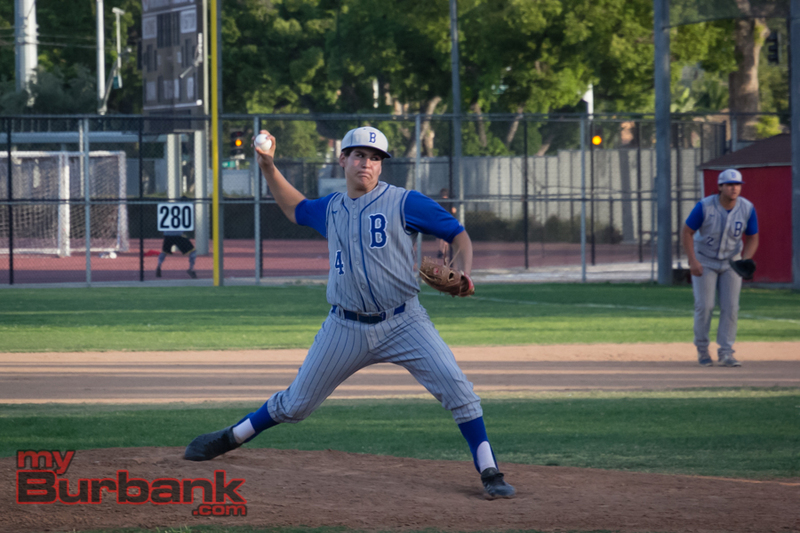 This wasn’t an ideal start for the Burbank High baseball team when it faced visiting Arcadia on Friday night. 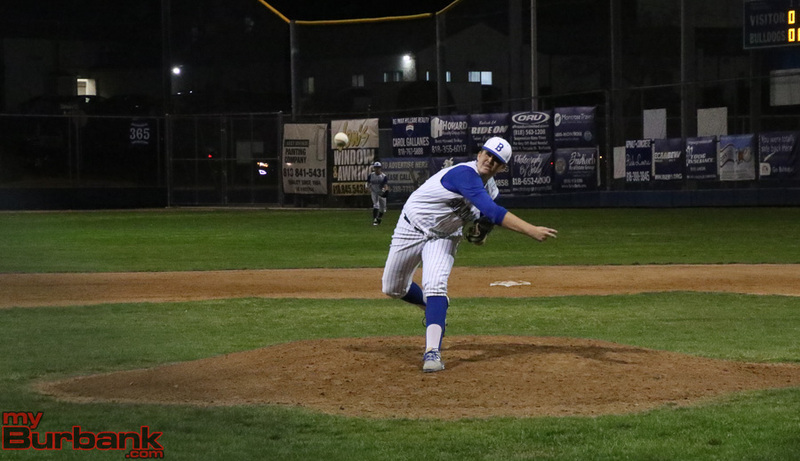 By the second inning, the Bulldogs fell behind by a run, through three they were looking at a five-run deficit and after the fourth inning, trailed by a half-dozen runs. Quit they would not, and despite the burden of eight errors, Burbank rallied for five runs in the fifth and getting within one run, but ultimately fell 9-6 in a Pacific League game. That frame is something that the Bulldogs can use as a confidence booster, but on Friday, it put a genuine scare into the Apaches, the top-rated team in the CIF Southern Section Division III, who are 11-0 overall and 2-0 in league play. Eleven batters trotted to the plate for the Bulldogs (2-7 and 0-2 in league) in the fifth with four getting on base via a hit. Sophomore Oakley Spens delivered a run-scoring single to left field as did junior Andrew De La Torre. Senior Abiezer Delgado, who doubled off the left field fence in the second inning, had the big blow, a two-run single to center field. Senior Matt Moreno led off the inning with a single up the middle and scored on Spens’ hit. 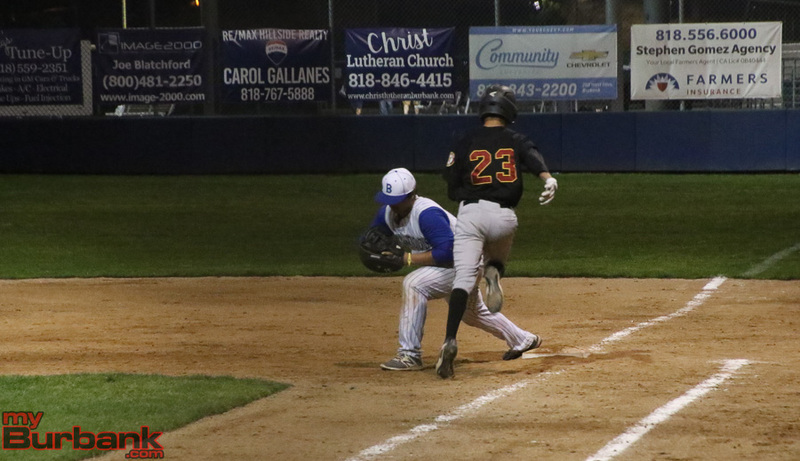 Burbank tacked on a run in the seventh when junior Matthew Porras had a run-tallying infield hit that scored senior Matt Shaugabay, who doubled to left field with one out. The Apaches pulled ahead 1-0 in the second inning without the benefit of a hit, but four errors helped their cause. Arcadia scored four runs on five hits in the third inning as junior Dominick Tello had a run-scoring single to right field. Senior Andrew Scannell then added a two-run single to right center off junior Joey Clark, who ventured four innings while surrendering six hits with six strikeouts and one walk. Senior Tyus Santa Ana had a run-scoring hit to right center in the fourth inning that made it 6-0. Arcadia’s advantage swelled to 8-5 after a two-run sixth inning, which was helped by Burbank committing two errors and saw junior Jeffrey Castillo (two hits) drive in a run with a double to left center. Junior Jacob Lopez’s infield grounder in the seventh inning pushed Arcadia’s lead to 9-5. 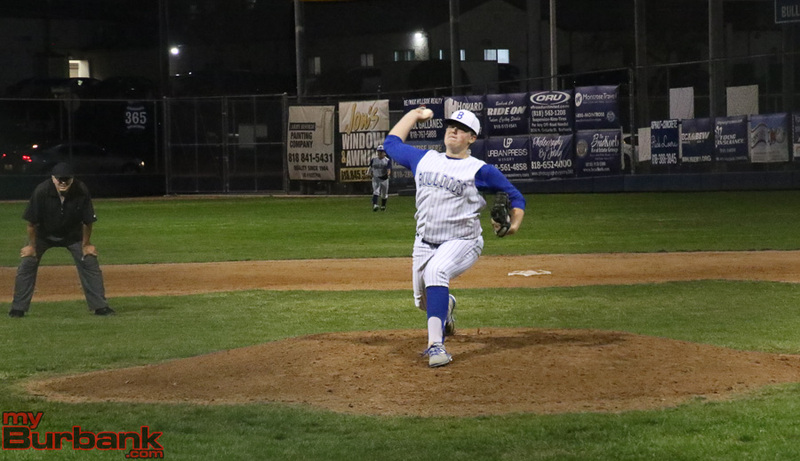 Junior Jacob Duarte went three innings and yielded two hits with three strikeouts and two walks with a hit batter for the Bulldogs, who lost to Arcadia 9-0 on Tuesday. Sophomore Chris Wilson was credited with the win after working four scoreless innings with seven strikeouts and one hit allowed. 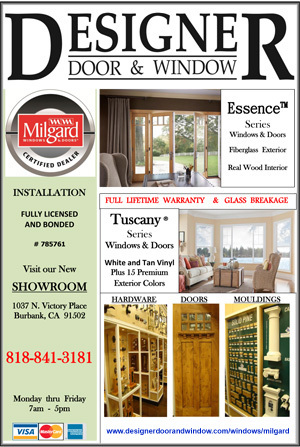 This entry was posted in Baseball, Sports and tagged Abiezer Delgado, Andrew De La Torre, Baseball, Burbank High, Jacob Duarte, Joey Clark, Matt Moreno, Matt Shaugabay, Matthew Porras, Oakley Spens, Pacific League on March 31, 2018 by Rick Assad. 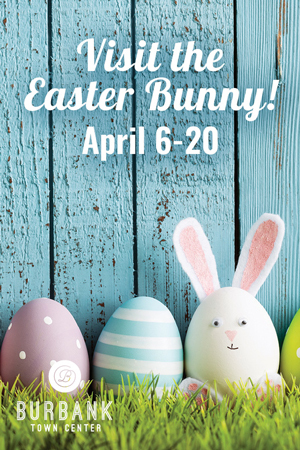 It happens every spring, but there is still nothing sweeter than the sound of a baseball bat hitting a ball. For Burbank High and Burroughs, the nonleague season is nearly over as the Bulldogs went 2-5 after games in the Easton Tournament, Quartz Hill tourney and Babe Herman Tournament, while the Indians are 6-6 after playing in the same tourneys. The Pacific League is set to begin next week when the Bulldogs visit Arcadia on March 27 and the Indians host Glendale on the same day. 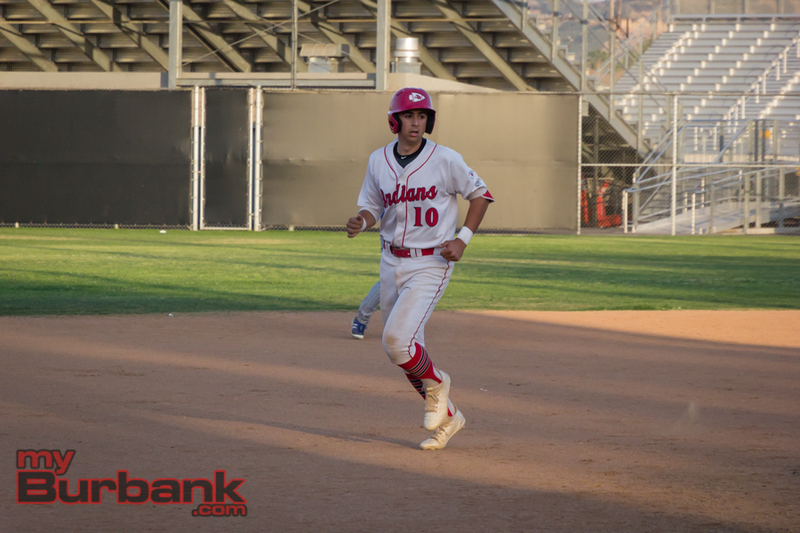 Burbank welcomes longtime city rival Burroughs on May 8 and visits the Indians on May 11. The Bulldogs, who went 15-10 and 10-4 in league for third place, advanced to the second round of the CIF Southern Section playoffs in 2017. 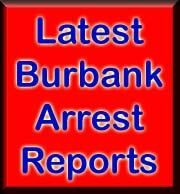 Burbank is talented and deep, but not overly experienced. That’s just one reason for the substandard nonleague record and that the team played very good teams. But Burbank Coach Bob Hart believes this will make his squad that much better when the league portion of the schedule commences. Burbank’s infield includes senior first baseman Abiezer Delgado, while sophomore Jacob Duarte will also see time at first base. Junior Matthew Porras, junior Kenny Won and sophomore Daniel Ruiz will spend time at second base. Senior Max Meltzer will play shortstop, junior Davis Mieliwocki will patrol third base and senior Matt Shaugabay will be the catcher. 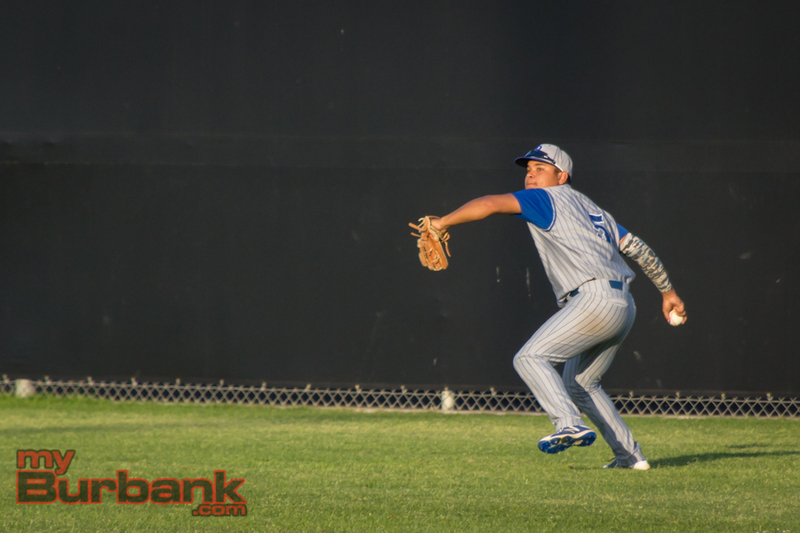 The Bulldogs’ outfield will have senior Matt Moreno in left field and center field, sophomore Oakley Spens will toil in center field while junior Andrew De La Torre will play right field, as will Duarte. Senior Austin Ortega, along with juniors Trent Anderson, Cody Winters, Vincent Romano and Geovork Leklyan will also spend time in the outfield. 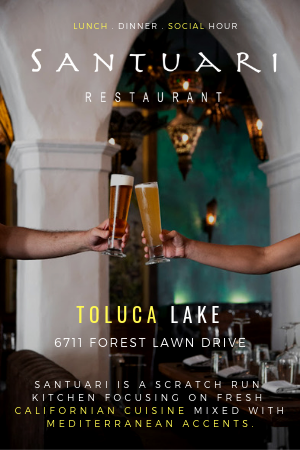 The pitching staff is filled with reliable arms and they include Porras, Ruiz, junior Joey Clark, De La Torre, Mieliwocki and Shaugabay, who will be the closer. The Indians are coming off a season in which they went 14-13 and 8-6 in the league, but lost 2-1 in the opening round of the CIF playoffs to Santa Barbara. 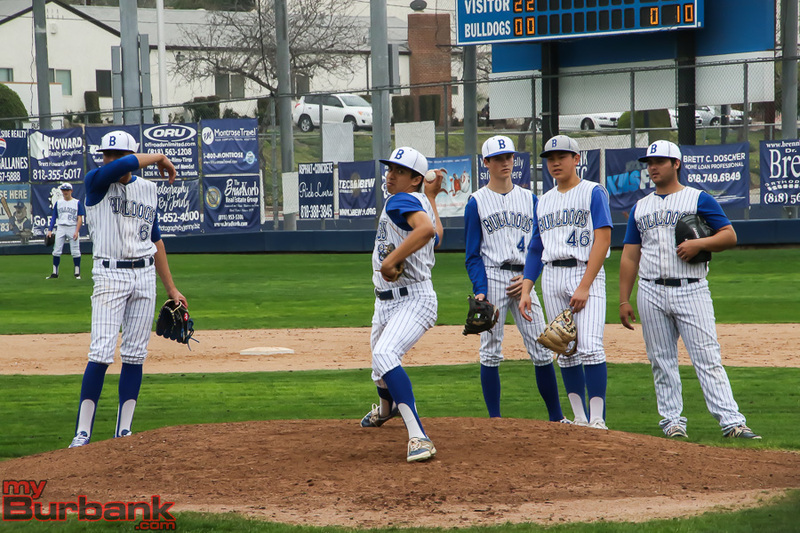 “Although young in the middle infield and more juniors than seniors on the team, I feel we can be competitive with anyone in the league,” Burroughs coach Craig Sherwood said. The pitching staff is deep and will be led by junior Nicco Chuidian, who had some stellar moments in 2017. Seniors Steven Gonzalez, Brandon Ortega and Joe Metcalf will add needed depth for Sherwood, who stresses defense and pitching as major priorities. 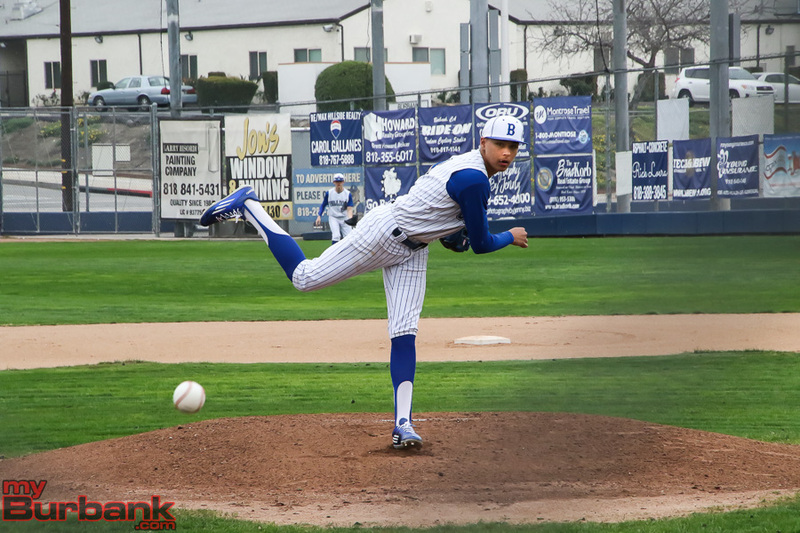 Junior submarine artist Xavier Dubon hopes to be a starting pitcher while juniors Andres Salazar and Brandon Aguilar will battle it out for the closer’s role. The infield is solid and somewhat young and includes senior and captain Nathan Palafox at first base. Junior Collin Johnson will be the designated hitter and the backup first baseman. Sophomore Brian Garcia will play shortstop and sophomore Devin Esquivel will see action at second base. Seniors Brandon Giraldo and Gonzalez will play third base and junior Julian Jaramillo will also see time at the position. According to Sherwood, whoever hits the most effective, will see the majority of the time at the position. Behind the plate will be senior Matthew Diaz and Jaramillo, and once again, whoever hits with the authority, will spend most of the time behind the plate. Senior Revin Diego, who played extremely well during the winter according to Sherwood, will play left field. Chuidian and junior Michael Le will battle for time in center field, senior Andrew Jacob Barrera will patrol left field, while junior Dylan Rolando and Salazar will also see action in left field. 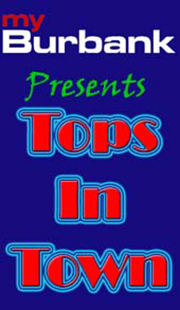 This entry was posted in Baseball, Sports and tagged Abiezer Delgado, Andres Salazar, Andrew De La Torre, Andrew Jacob Barrera, Austin Ortega, Baseball Preview, Brandon Aguilar, Brandon Giraldo, Brandon Ortega, Brian Garcia, Burbank High, Burroughs High, Cody Winters, Collin Johnson, Daniel Ruiz, Davis Mieliwocki, Devin Esquivel, Dylan Rolando, Geovork Leklyan, Jacob Duarte, Joe Metcalf, Joey Clark, Julian Jaramillo, Kenny Won, Matt Moreno, Matt Shaugabay, Matthew Diaz, Matthew Porras, Max Meltzer, Michael Le, Nathan Palafox, Nicco Chuidian, Oakley Spens, Pacific League, Revin Diego, Steven Gonzalez, Trent Anderson, Vincent Romano, Xavier Dubon on March 23, 2018 by Rick Assad. 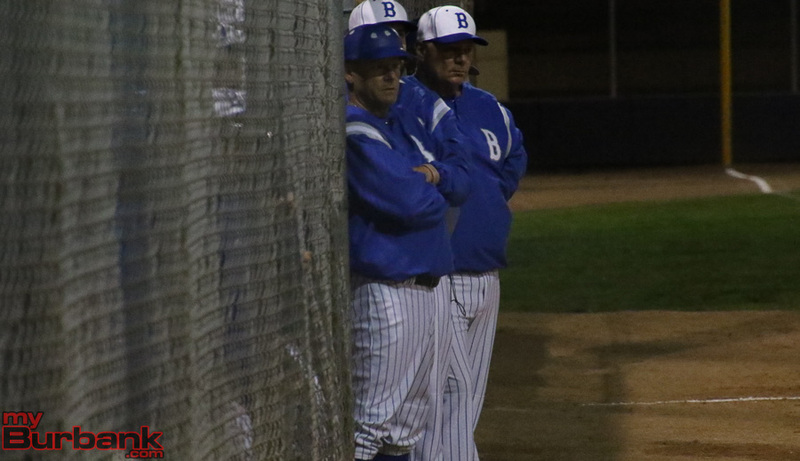 Playing a rugged schedule is something Bob Hart, the Burbank High baseball coach wants in preparation for the upcoming Pacific League, which begins next week. 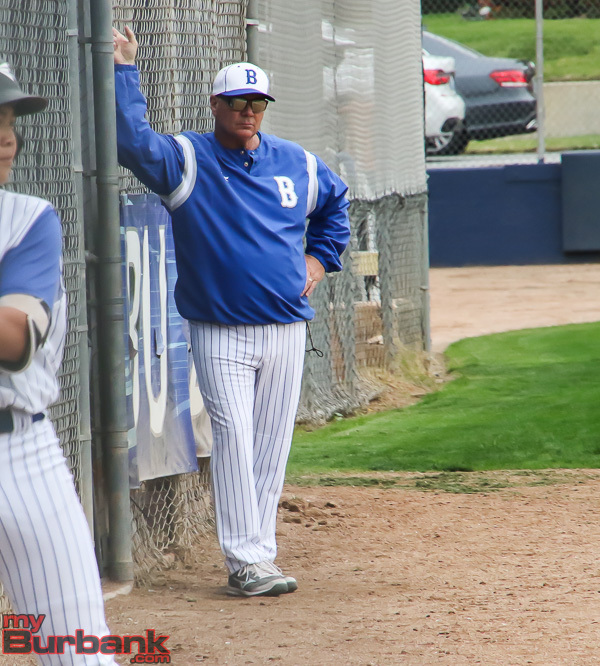 On Tuesday at home in a Babe Herman Tournament matchup, the Bulldogs lost a 7-1 decision to Chatsworth, one day after losing to Birmingham 18-0 on the road. 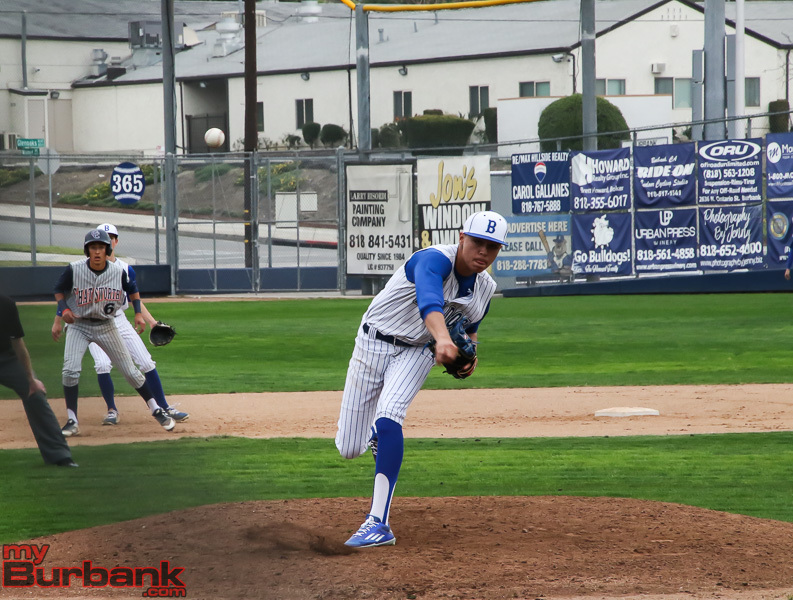 Burbank (2-5) trailed throughout the seven-inning affair and scored its only run in the fifth inning when freshman Ryan King slapped a two-out single to center field that plated senior Matt Moreno, who singled up the middle. Junior pitcher Daniel Ruiz struggled with his control as the Chancellors scored two runs in the first and second innings and added a solo tally in the third for a 5-0 lead. “I was proud of the resiliency and that they didn’t throw in the towel,” Hart said of the early deficit the Bulldogs faced. Chatsworth (7-3) took a 1-0 lead when sophomore Andy Ambriz walked with the bases loaded which scored senior Miguel Marin, who was hit by a pitch, and when junior Austin Carrillo bounced into a double play, the advantage became 2-0. Marin’s two-out hit to right field scored senior Ryan Barry, who doubled to right center and senior Alex Milone’s double to center field gave the Chancellors a 4-0 edge. Chatsworth made it 5-0 without the benefit of a base hit as Ruiz nicked the first two batters, Ambriz and Carrillo, with Ambriz scoring when senior Steve Diaz reached on an error. Ruiz toured two and one-third innings while allowing four hits with two walks and two strikeouts and three hit batters. Junior Andrew De La Torre went four and two-third frames, fanning three with two walks and four hits allowed. 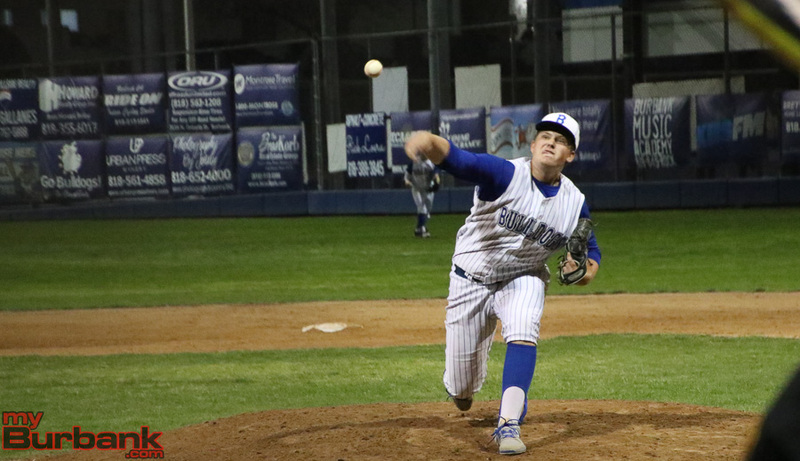 Chatsworth’s lead swelled to 6-0 with a run in the fifth inning when Barry’s two-out single to left brought in Carrillo, who drew a one-out walk. 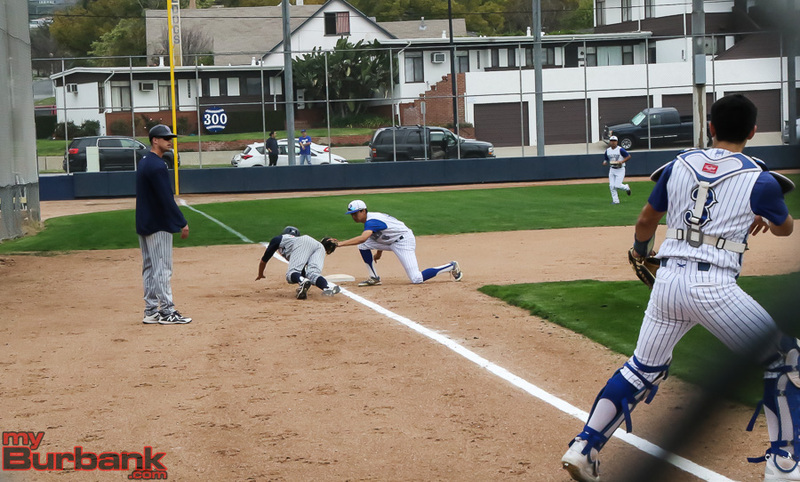 The Chancellors tacked on a run in the seventh inning when Diaz laid down a sacrifice bunt that scored pinch runner junior Hector Carreon, who entered the game after junior Stevan Gomez walked with one out. Senior Nick Jimenez went seven strong innings, allowing seven hits with four strikeouts for the Chancellors. Jimenez retired the Bulldogs in order in the first inning before yielding a leadoff single to left field by senior Abiezer Delgado. Ruiz then hit into a double play and Moreno fanned. 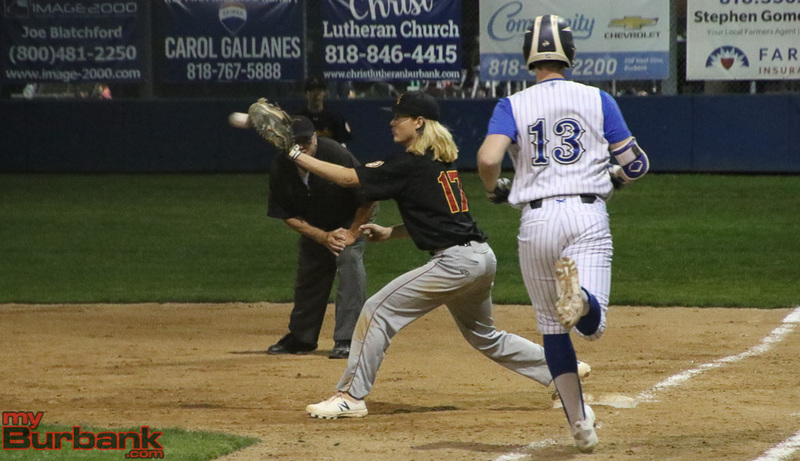 Burbank collected two hits in the third inning as sophomore Oakley Spens reached on an infield single and King singled to right center, but junior Matthew Porras bounced into an inning-ending double play. 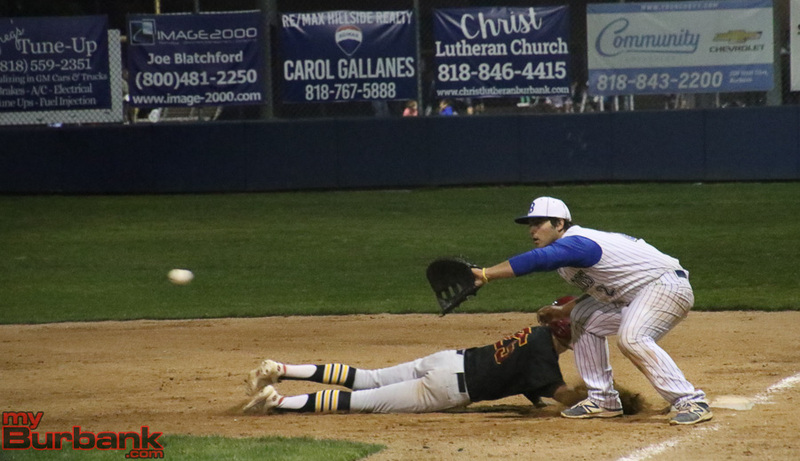 The Bulldogs went down 1-2-3 in the fourth, but senior Matt Shaugabay singled with one out in the sixth inning, however, Delgado popped up and Ruiz flied out. Jimenez added yet another perfect frame in the seventh inning and the match concluded when Spens lined out to center field. 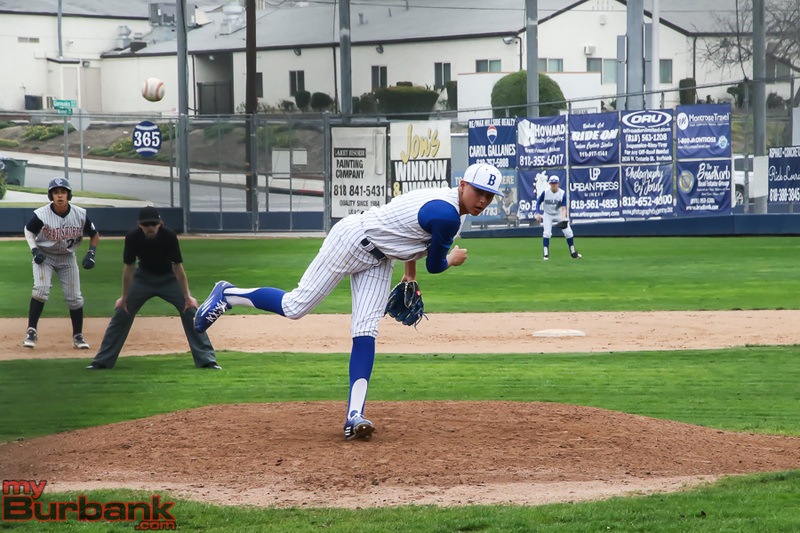 This entry was posted in Baseball, Sports and tagged Abiezer Delgado, Andrew De La Torre, Babe Herman Tournament, Baseball, Burbank High, Daniel Ruiz, Matt Moreno, Matt Shaugabay, Matthew Porras, Oakley Spens, Ryan King on March 21, 2018 by Rick Assad.